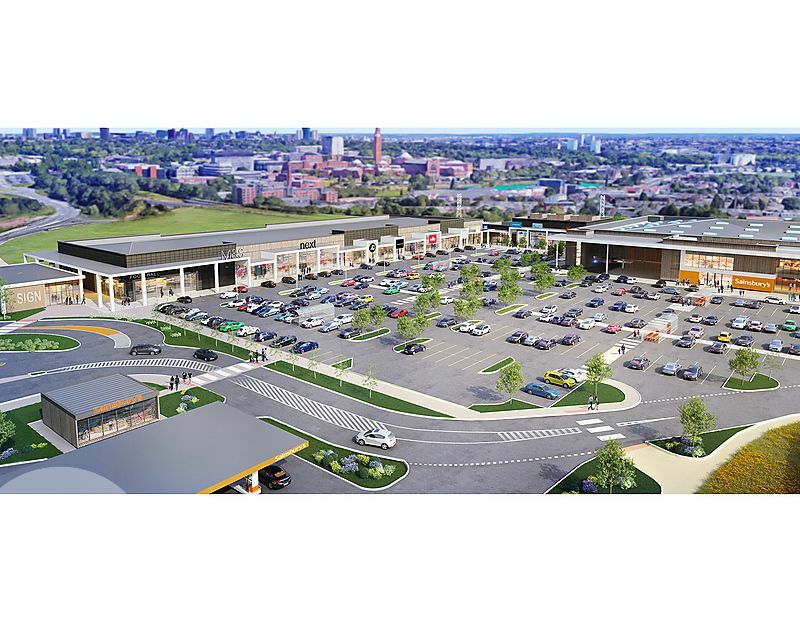 A new 190,000 sq ft open A1 Shopping Park anchored by a 115,000 sq ft Sainsbury’s, M&S Foodhall and Next. Other occupiers include JD Sports, Nando’s, Wilko, Costa, Superdrug, Mountain Warehouse, Thomas Cook, The Works and Card Factory. Situated in South West Birmingham in the affluent suburbs near to Edgbaston, Harborne, Moseley and Kings Norton. The site is located on the new link road bypass for the A38 with a roundabout junction allowing very good accessibility and prominence. The A38 is the main south-west arterial road linking the city centre to junction 4 of the M5 motorway. Birmingham University Campus and the Queen Elizabeth Hospital complex are close-by.